Goosie recommends BASIL…especially the 6-pack. Her favorite treat is a pail of basil stems, if she can get to it before the ducks! Goosie’s favorite way to eat basil is right out of your hands with a container of swamp water to wash it down! Pebbles the cat recommends CATNIP. He says it is yummy, fun to play with and also hears from his humans that it makes a good tea. Kamrynn recommends the INDIGO ROSE TOMATO. It is purple and red, medium size and yummy. Her favorite way to eat it is sliced and salted. The Indigo Rose is a great color to add to your vegetable platter! Charlie the orange billed duck recommends the Orange Wellington Tomato. He likes it because it is duck-bill orange which is his favorite color. My favorite tomato variety is BUSH BEEFSTEAK. I like it because it has a large red fruit and that it also has a delicious flavor. 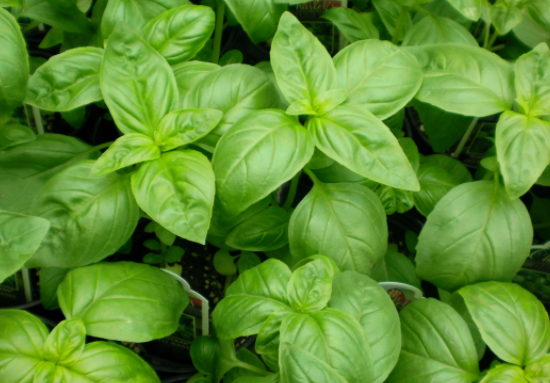 It is a good plant for someone who has limited gardening space but still wants a highly prolific plant. The plant takes 85 days to harvest and ripens off plant very well. 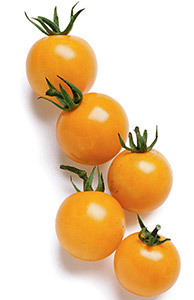 Bush Beefsteak is a great tomato to add to your vegetable garden. Sunny the Bunny recommends the SUN SUGAR TOMATO. He was playing in the garden one day and thought he would try a tomato. He tried a sun sugar and liked it so much he ate the tops off eight more! He says they are sweet, juicy and that everyone should try one. He also likes the bright yellow color.